All of our translators are specialized in their language combination and they only ever work into their mother tongue to ensure the best quality. All of our translators, with many years of experience, are specialized in certain fields, such as technical, medical or legal fields. All of our Spanish translators have a university degree and they are all accredited by the Spanish Ministry of Foreign Affairs. We know that for our clients a fast and highly qualified translation is important. 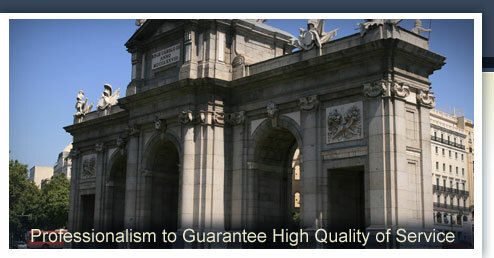 We at Tradupolis.es are committed to our clients and therefore guarantee you to always offer you the best of service.